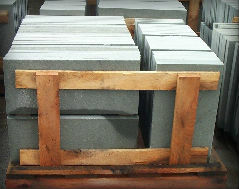 Product categories Blue Thermal Archive - Johnston & Rhodes Bluestone Co. 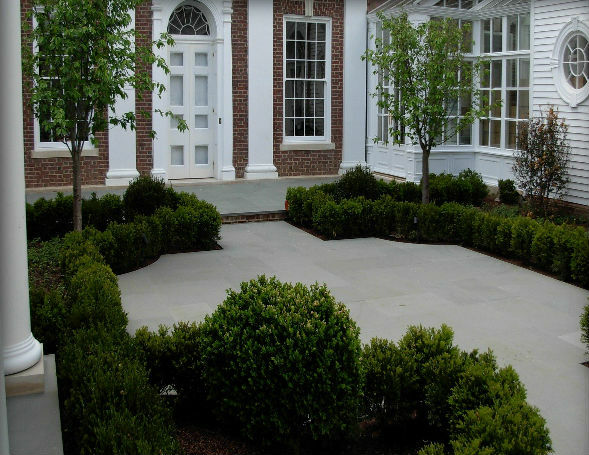 Thermal, honed, and natural cleft bluestone available exclusively in blues and grays. As an alternative to full color range in natural cleft, we offer multiple patterns in a blue/blue color range, available in sizes 1 ft. x 1 ft. to 2 ft. x 3 ft., with typical thicknesses of 1”, 1.5”, or 2”. Depending on supply, stair treads, irregular, and rough slabs may also be available in blue/blue natural cleft. Standard products in thermal finishes include blue thermal treads in 12”, 14”, 16” 18” 20”, or 24” widths, with lengths ranging from 3 ft. to 8 ft. Blue thermal patterns are produced in sizes from 1 ft. x 1 ft. up to 2 ft. x 3 ft. Typical thicknesses for these items are 1”, 1.5”, or 2”. 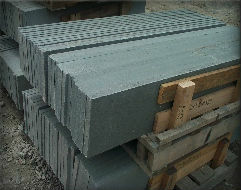 We also have sawn slabs available up to 5 ft. wide and 12 ft. long. 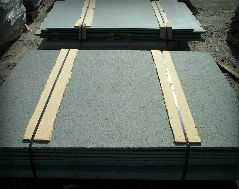 The slabs can be cut to virtually any thickness, and finished as desired. 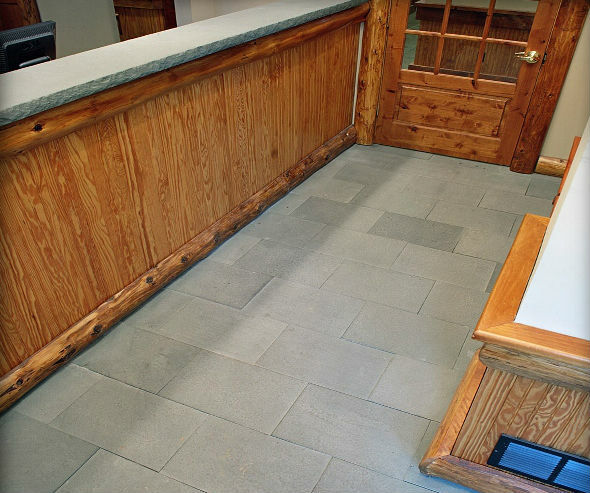 Our custom fabrication shop is capable of producing all types of specialty bluestone projects in smooth, honed, thermal (also called flamed), and sand blasted finishes, among others. 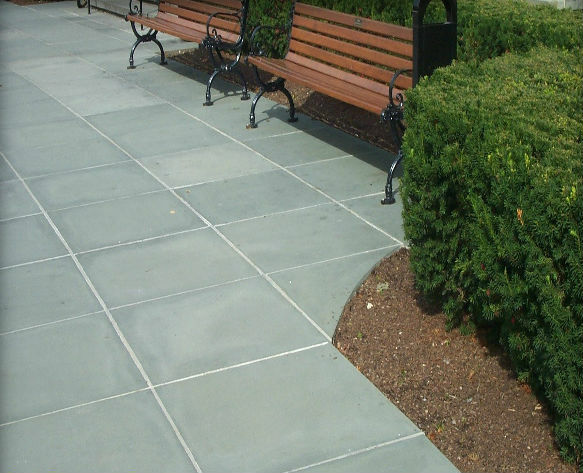 If it can be made in stone, we can do it in our blue/gray color Ell Brook Bluestone.